Little guy and quite pushy," Mr. Stocker said. 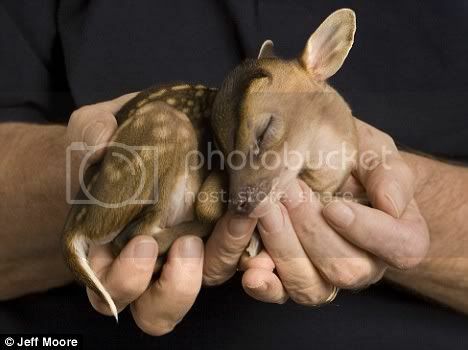 Permission to let forth a mighty squee? Has to be a Muntjac. So small and perfect. This has to be a Muntjac. It's so small. Awwww! Rupert, I hope you make it! 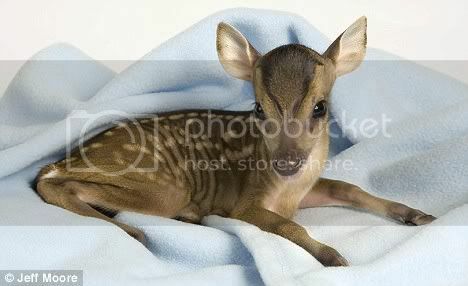 Tiggywinkles is a great animal hospital for wild animals. Looks like Rupert's doing fine. 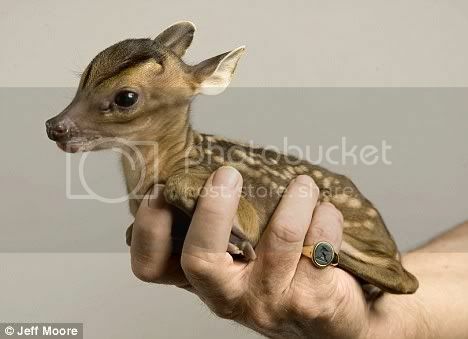 Has to me a Muntjac we don't have any other tiny deer over here. Beautiful little animal. Hope he carries on doing well. Trouble is, though, if he gets too imprinted on humans he can't be returned to the wild when he grows up. I'm sure when it's time someone will take him in. They originally escaped from 'Woburn Abby' maybe he will go back there. OMG, so adorable! he has a great modeling career ahead of him, judging by these photos. He is so small and so perfect. It's hard to take in how perfect he is being so small. Seriously. Could this be a more awesome post? 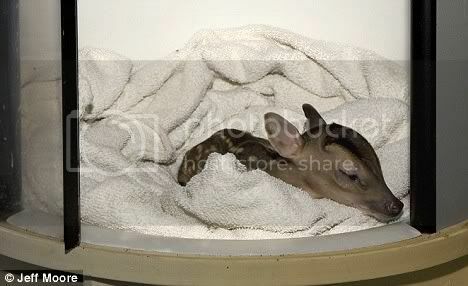 Do you know about the website (on facebook too) called ZooBorns? Every day or so they post new pix/videos & stories of animals born at zoos around the world. I die from the cuteness every day. OMG. Thanks for this. What a sweet sweet baby. The little guy is so perfect. Thanks! for the web page I hadn't heard of this one before. Have it booked marked now.